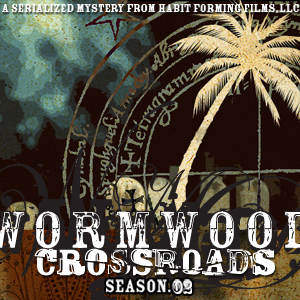 Habit Forming Films proudly presents: Wormwood: Crossroads: Episode Two: The Rescue! Jeremiah Allan, Rob Allspaw, Tiffiny Kaye Whitney and Rick Bata, Jr. Copyright 2008 Habit Forming Films, LLC. All Rights Reserved. This entry was posted by Wormwood on Saturday, June 7th, 2008 at 12:20 am	and is filed under podcast, season 2. You can follow any responses to this entry through the RSS 2.0 feed. You can leave a response, or trackback from your own site.